Should You Bother Investing Time in Yelp? Many attorneys have asked me about Yelp. Few love it and do well there. 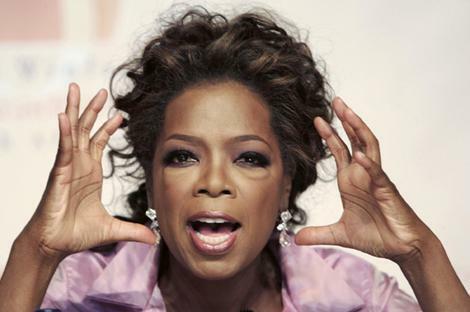 Many hate it, and most are simply afraid to set up a listing there. But Yelp is no laughing matter. Survey your friends and you will find few who don’t use Yelp, at least for restaurants. If you take a closer look at the site, Yelp is not limited to restaurants anymore. It includes all types of local businesses such as accountants, dentists, schools, graphic designers and more. As far as Google is concerned, Yelp is now the No. 1 local directory website. 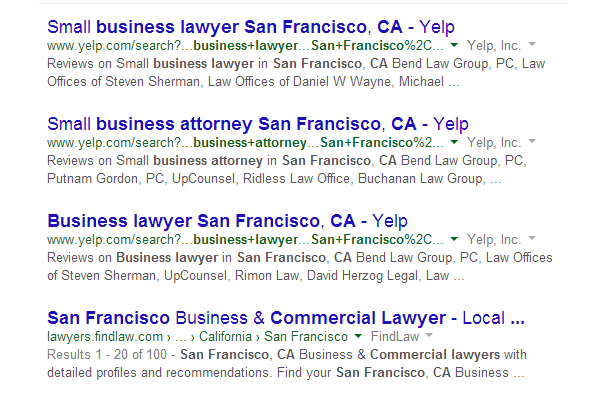 When you do a search for “business lawyer in San Francisco,” the top three results are all Yelp’s listing overview pages. FindLaw, the largest law directory for decades, fell to the fourth position. This tells us Yelp is the most important local directory to Google. FindLaw, Lawyers.com and Avvo.com –much larger directories for the legal industry – aren’t considered more relevant for local searches. 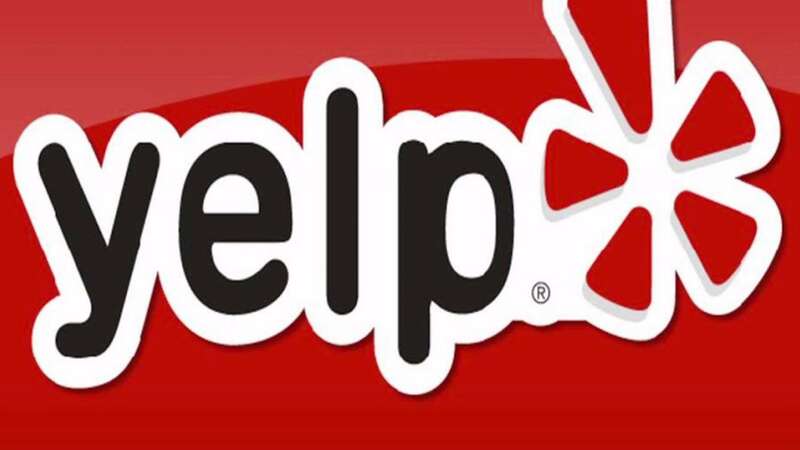 Yellow Pages, Foursquare, CitySearch and MapQuest are other local directories to follow, but they are far behind Yelp in search engine rankings. So, following my last article about using online directories to improve your Google Local ranking, Yelp is a significant signal to Google that validates your location information. If your business is not on Yelp or doesn’t have the accurate business name, address or phone number, your ranking will be negatively affected. Therefore, even though Yelp may not be your strongest advocate, consider its impact on your Google Local ranking.